Gold ETFs make it simple to trade the value of the precious metal. Gold ETF taxation differs from taxation on other types of exchange traded funds. You will receive a gold Schedule K-1 for tax purposes from the ETF entity. Keep in mind that when you own shares of a gold ETF, you own a financial asset trading in shares, not physical gold itself. You cannot redeem your gold ETF shares for actual gold. Even though ETF shares are bought and sold much like stocks, you are taxed on the sale of long-term holdings as if you did own physical gold. No matter how you invest in gold or other types of precious metals, the IRS considers them collectibles and taxes them accordingly. Short-term capital gains for gold ETFs are taxed as ordinary income, as is the case with most types of investment short-term capital gains. However, if you hold the gold ETF for more than one year before selling, it is a long-term capital gain. The Tax Cuts and Jobs Act, signed into law by President Donald Trump on Dec. 22, 2017, changed the capital gains rates to zero, 15 percent or 20 percent for most types of capital gains, depending on income. However, when it comes to gold ETFs, you’ll pay a whopping 28 percent in capital gains, as you would with the sale of any collectible. If you hold want to hold gold in your IRA, a gold ETF is one of the better choices. The IRS does not permit holding collectibles in an IRA, but it does permit holding gold in ETFs or mutual funds, as well as highly refined gold bullion held by a bank or by a trustee approved by the IRS. When you own gold ETF shares in a traditional IRA, with contributions made with pre-tax dollars, you are not taxed until you begin making withdrawals, and such withdrawals are taxed as ordinary income. If you hold gold ETF shares in a Roth IRA, you do not have to pay tax on withdrawals, since Roth contributions are made with post-tax income. 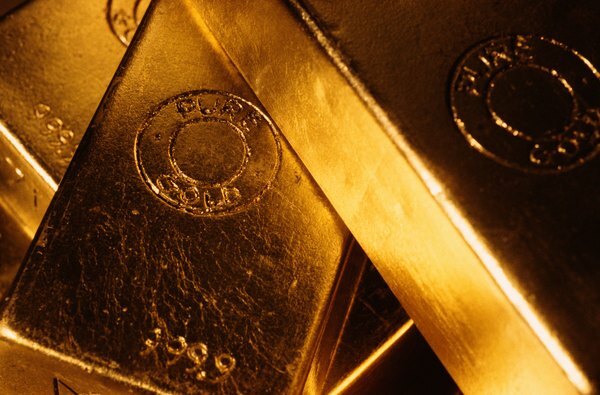 The largest of the gold share ETFs, SPDR Gold Trust “tracks the gold spot price, less expenses and liabilities, using gold bars held in London vaults,” according to Investopedia. However, in addition to the high taxes investors must pay on long-term capital gains, there is also a commission paid for buying and selling ETFs and a relatively high expense ratio, so fees on this ETF can add up. Roth IRA: Do Gold and Silver Belong in Your Retirement Portfolio? IRS: Schedule K-1: Partner’s Share of Income, Deductions, Credits, etc.